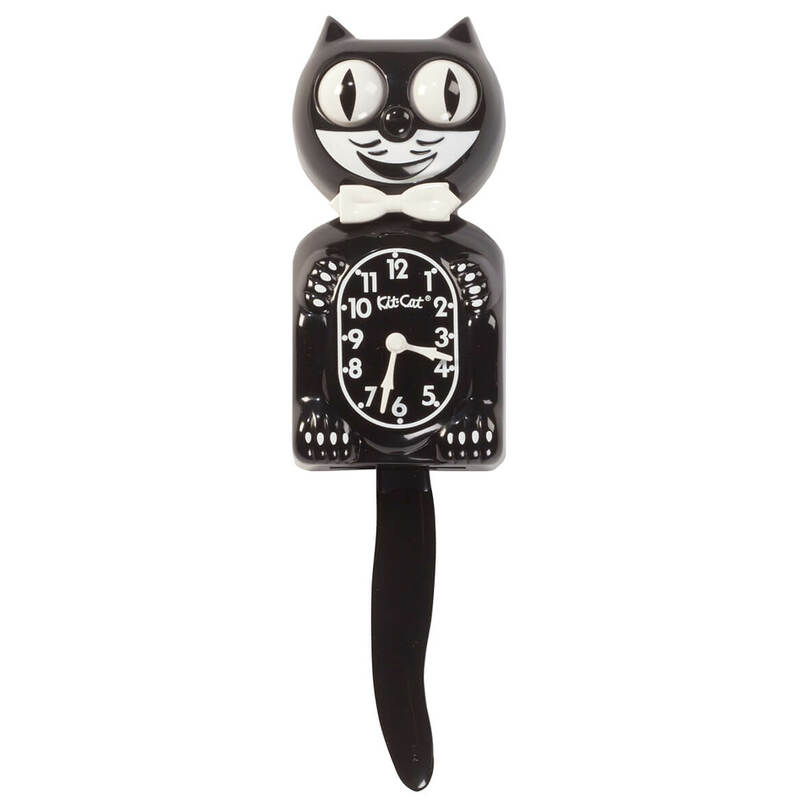 This classic cat was a gift for my wife ( a true cat lover )We enjoy checking the time in the kitchen each morning. This clock looks amazing and looks wonderful in my kitchen! Love the remake of an old classic!!! Works and looks great!!! the tail and eyes does not move at all, we went on to the web page and try to solve,but without result. i was waiting for the product with great enthusiasm and end completely frustrated, i am sorry,but i am not satisfied,it was not what i expected. My grandmother had one of these. Now I want one! It brings back memories of my childhood. Love cats,this will look great on wall. I always wanted one since I was a child. Because it's so cute and funny looking! ð?? ?